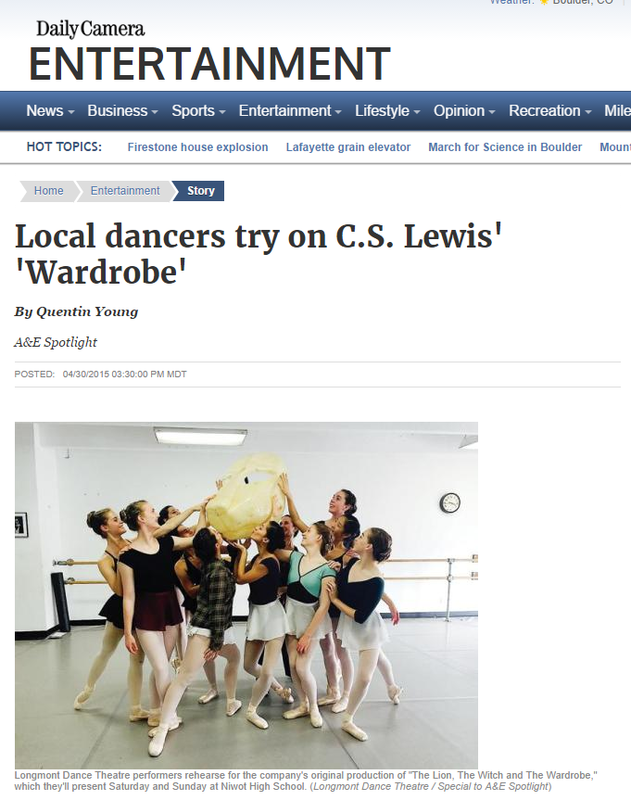 Local dancers try on C.S. 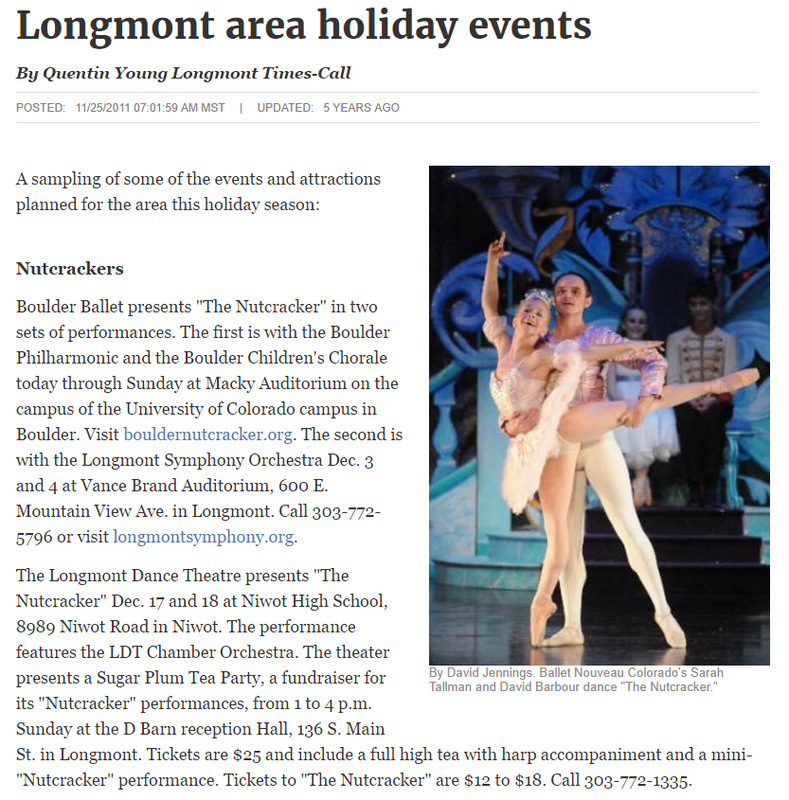 Lewis’ ‘Wardrobe’ – Longmont Dance Theatre featured in the Daily Camera! 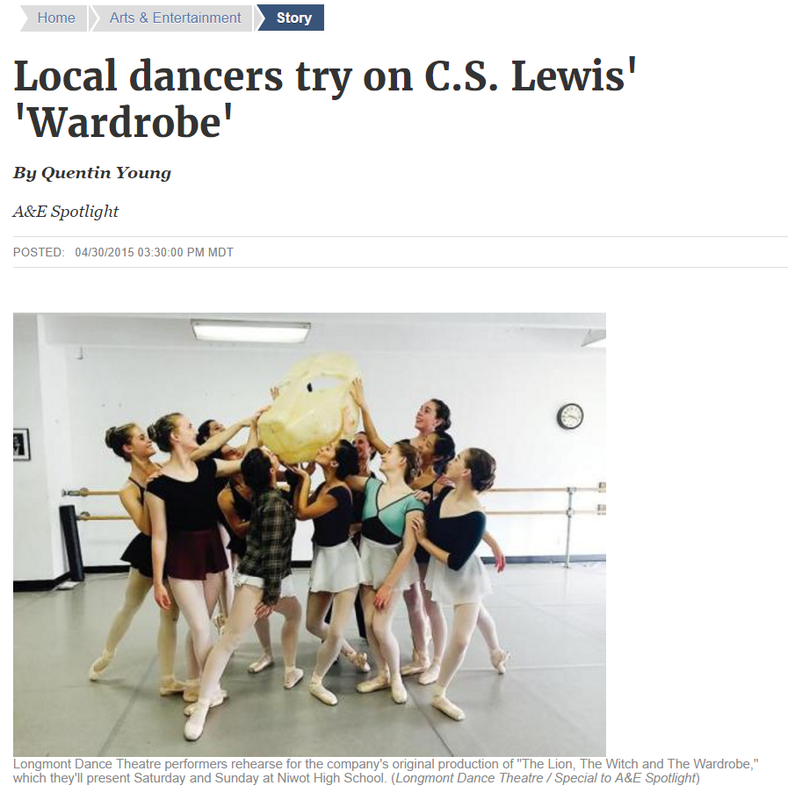 “Longmont Dance Theatre’s production of “The Lion, The Witch and The Wardrobe” has the trappings of a big-time show.” Read the full article here! 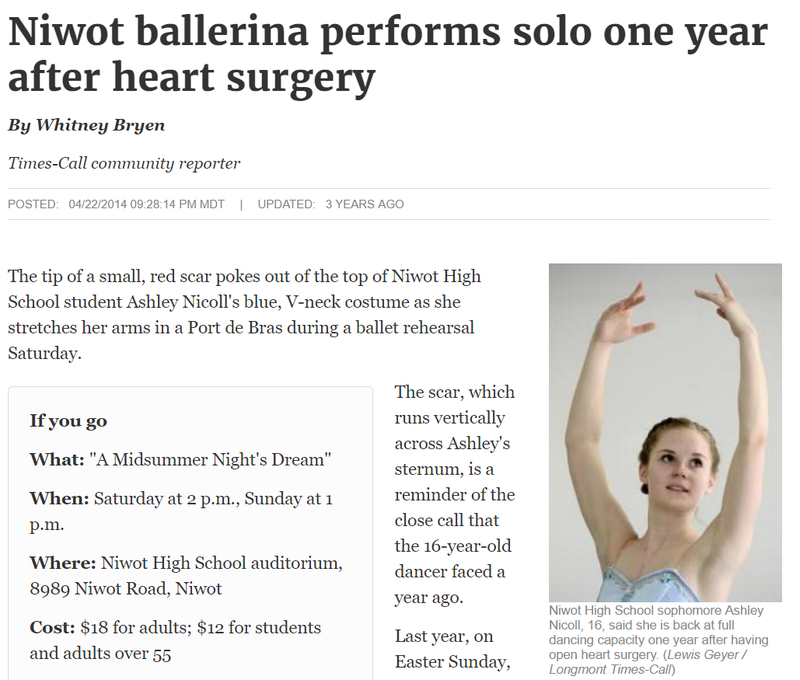 “”I feel like people will be in awe, and if they come on Saturday they might come back on Sunday,” she said of the two performances scheduled for Niwot High School — 2 p.m. Saturday and 1 p.m. Sunday.” Read the full article here!